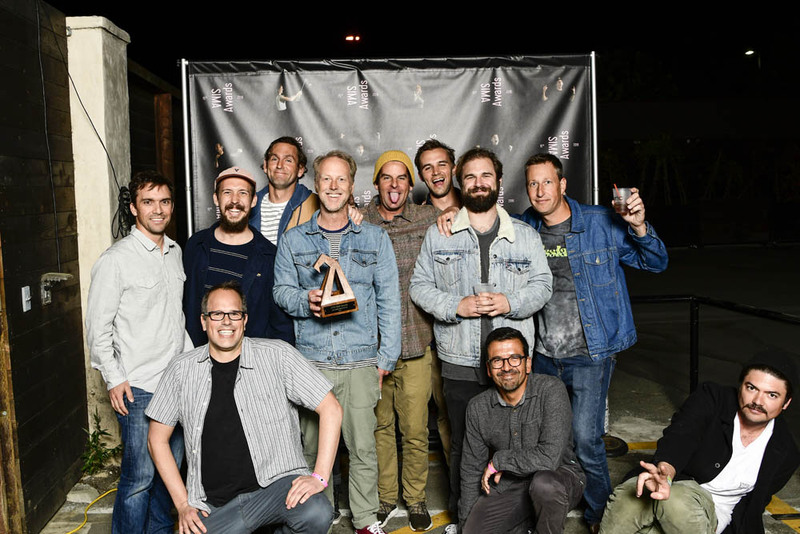 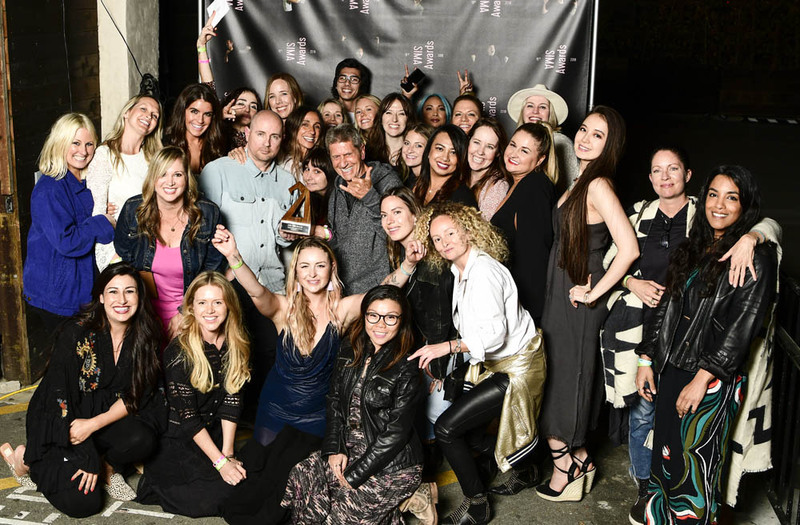 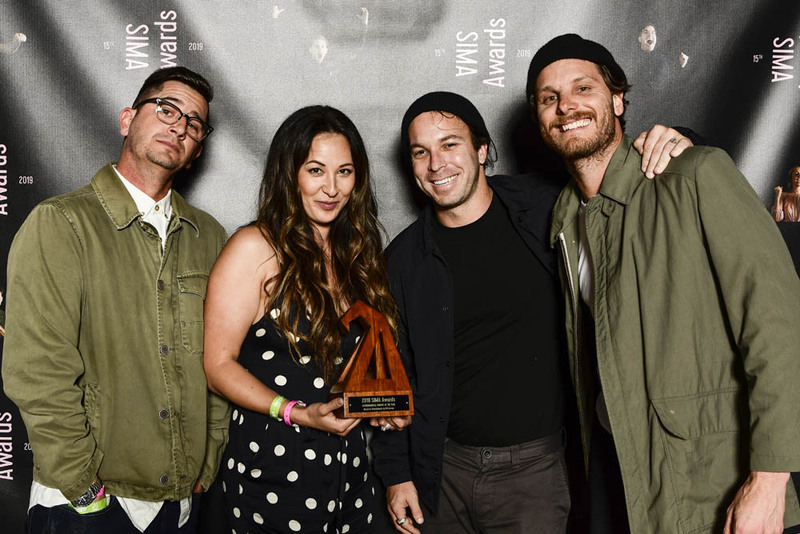 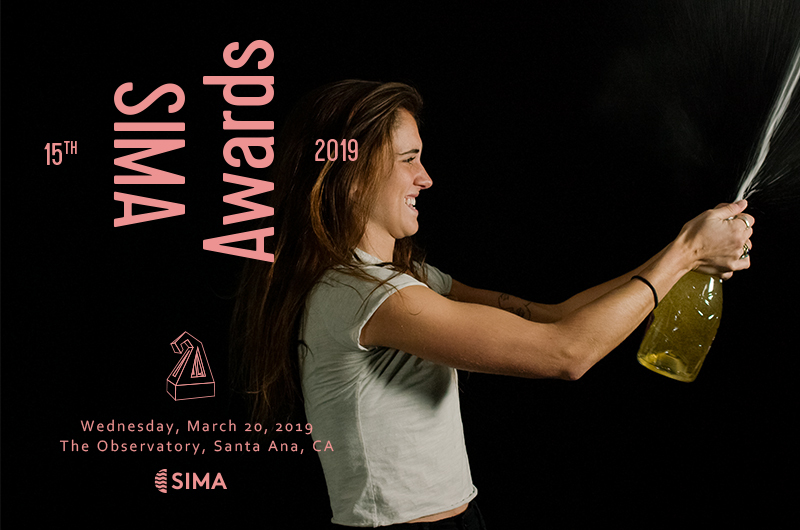 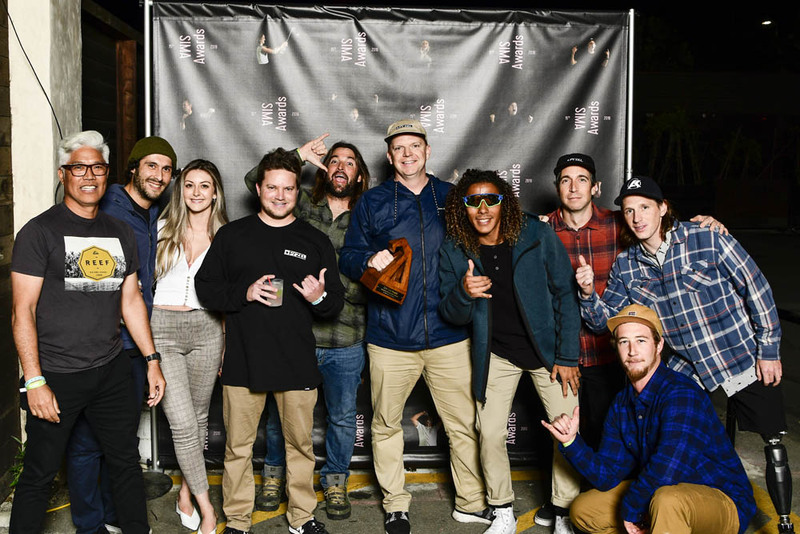 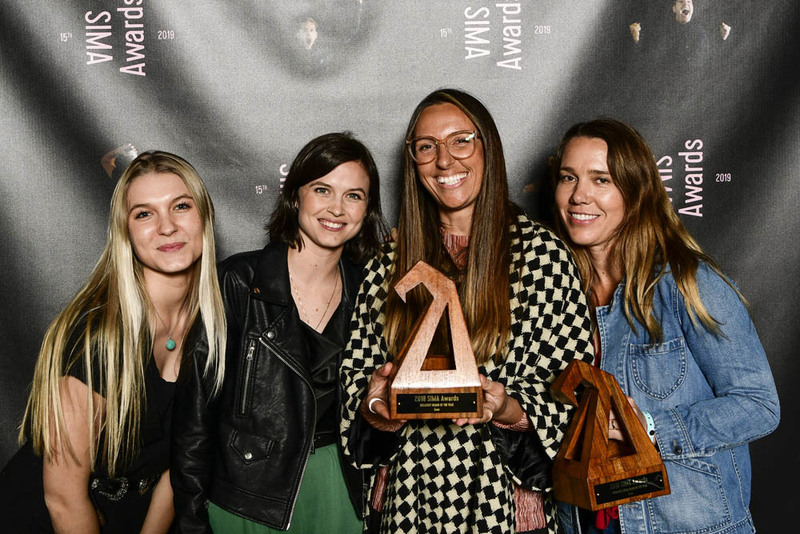 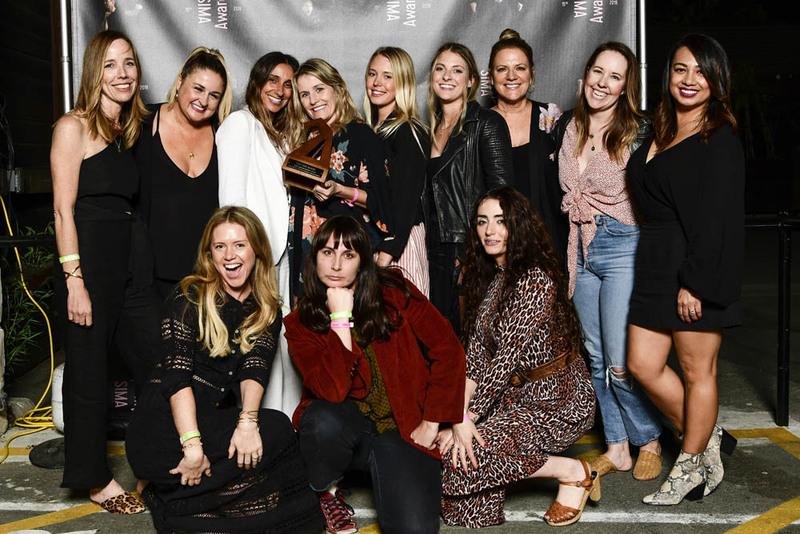 More than 500 attendees from surf companies and specialty retail shops gathered last night for the sold out SIMA Awards ceremony at The Observatory in Santa Ana, CA to celebrate best from the surf industry in 2018. 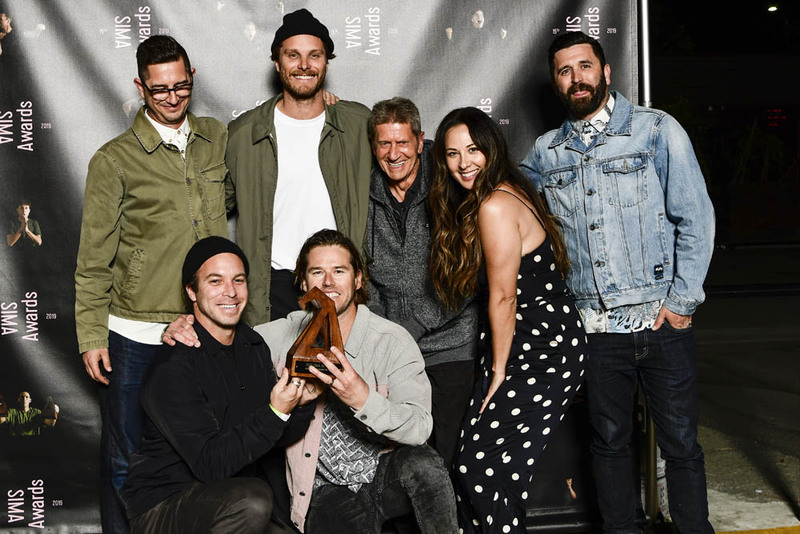 The ceremony also served to honor specialty surf shops that have been in business for more than 50 years. 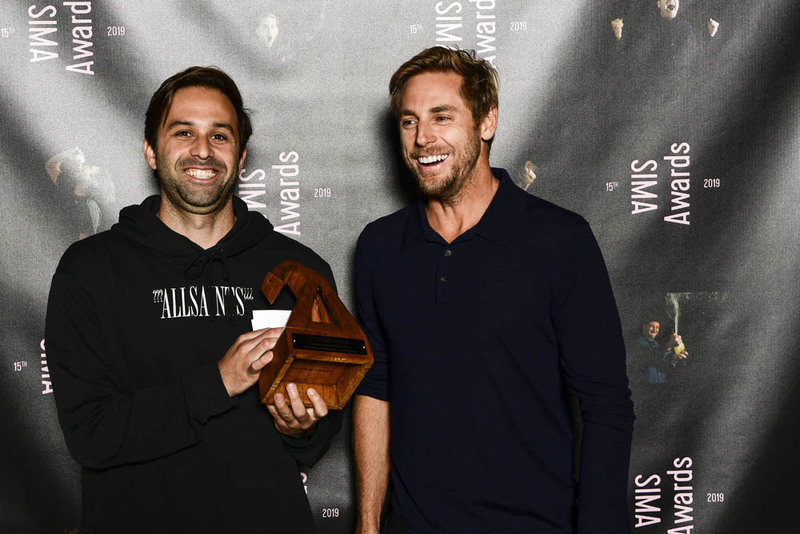 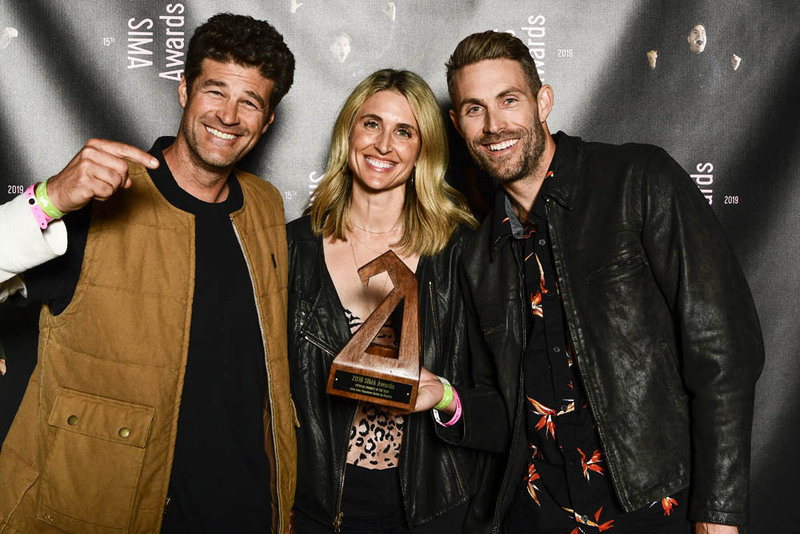 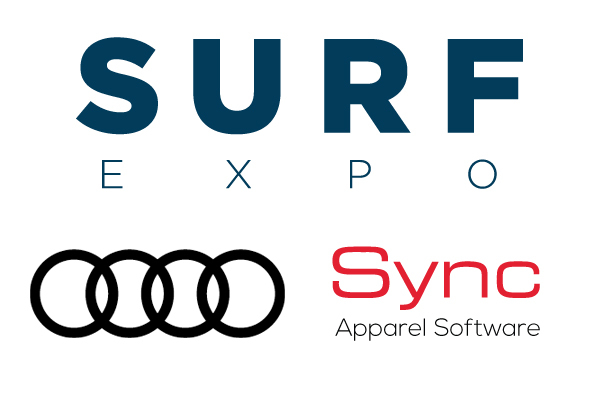 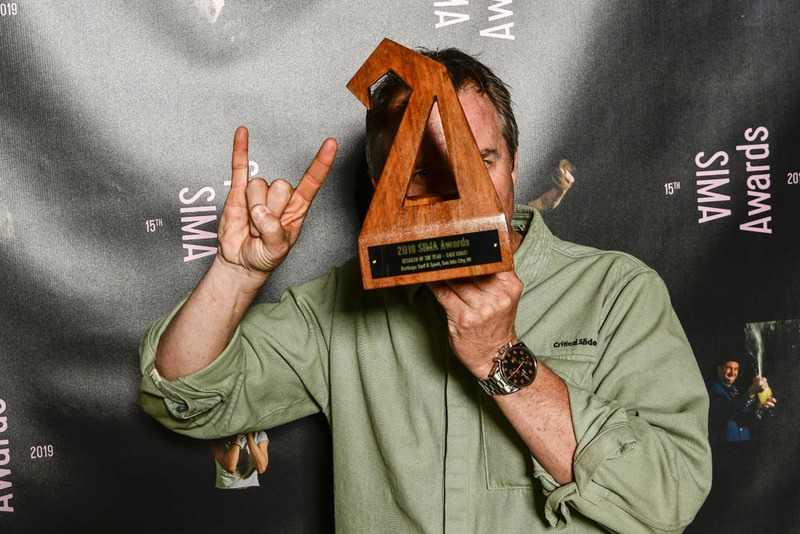 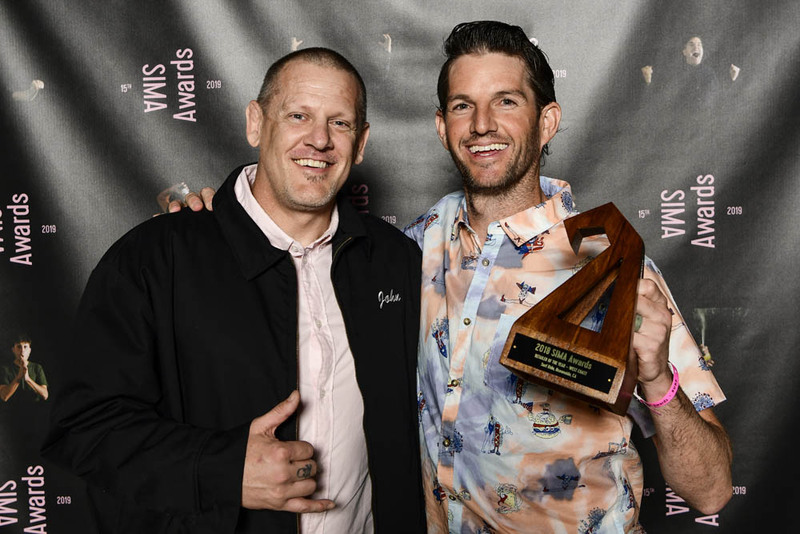 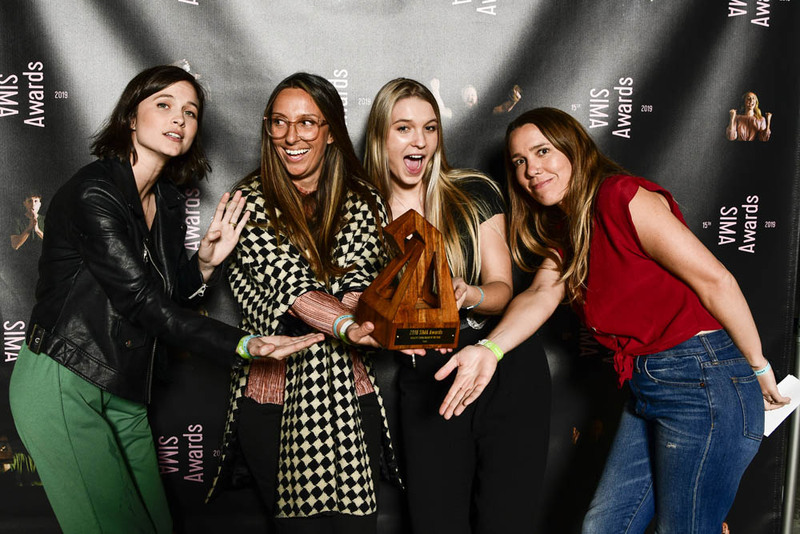 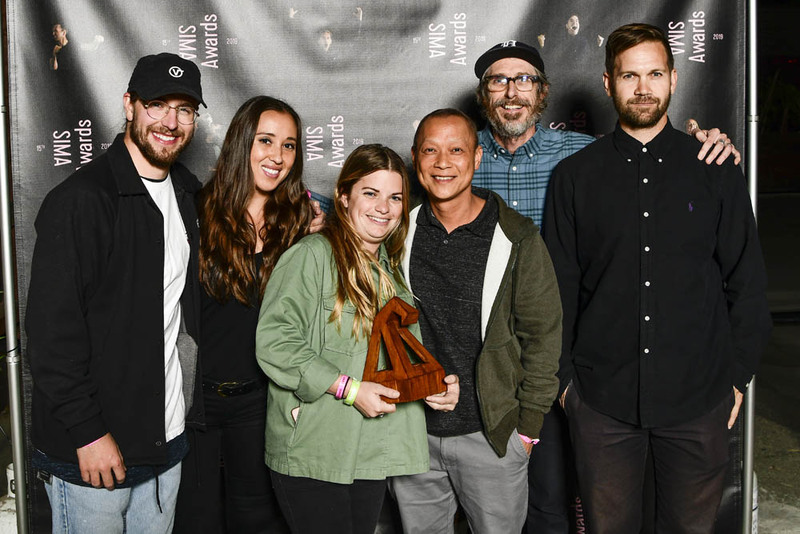 Now in its fourth year, the 2019 SIMA Surf Shop Gold Wave Award recognized Farias Surf and Sport of Ship Bottom, NJ, Nomad Surf Shop of Boynton Beach, FL, Village Surf Shoppe of Garden City Beach, SC and Wise Surfboards of San Francisco, CA. 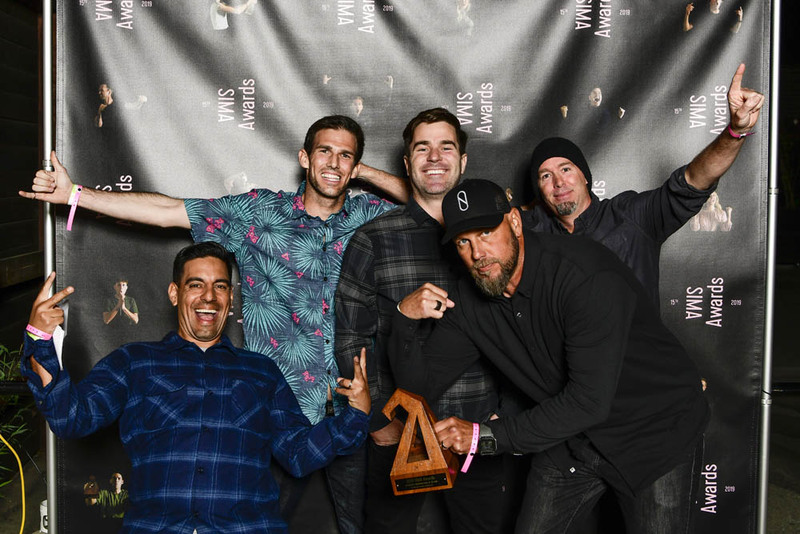 Heritage was unable to attend but accepted via video. 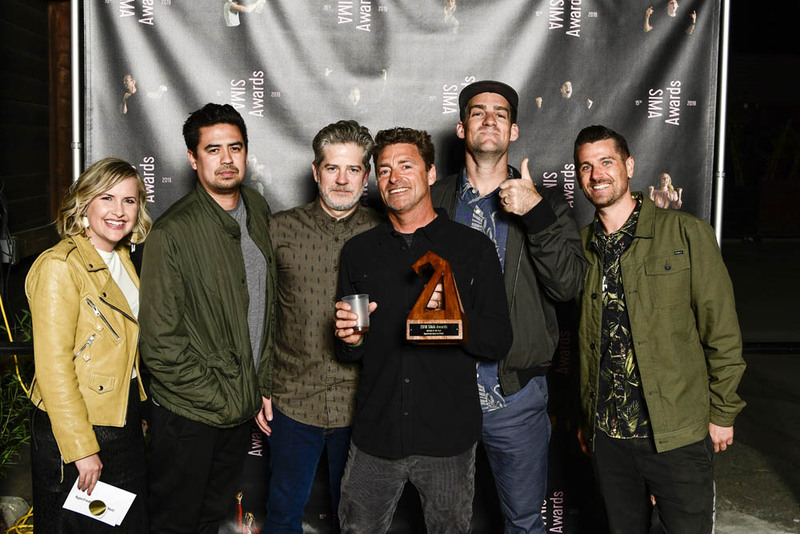 Featured with trophy, host Pat Parnell. 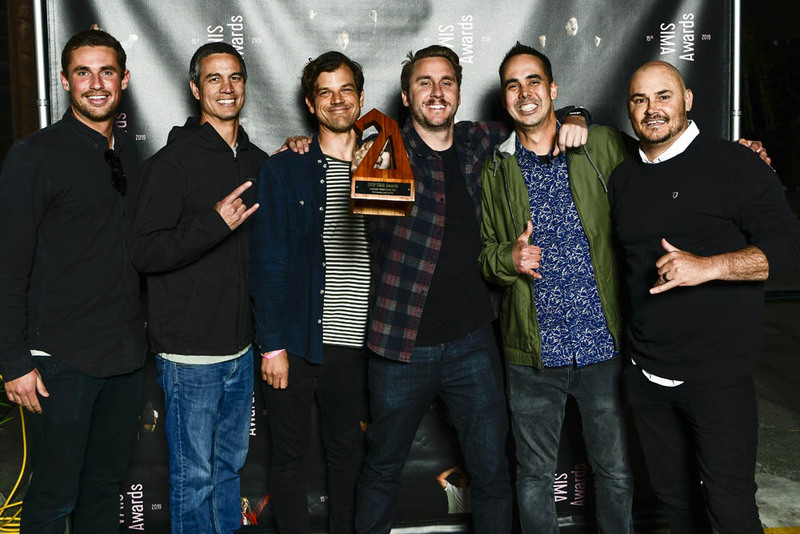 evo was unable to attend but accepted via video. 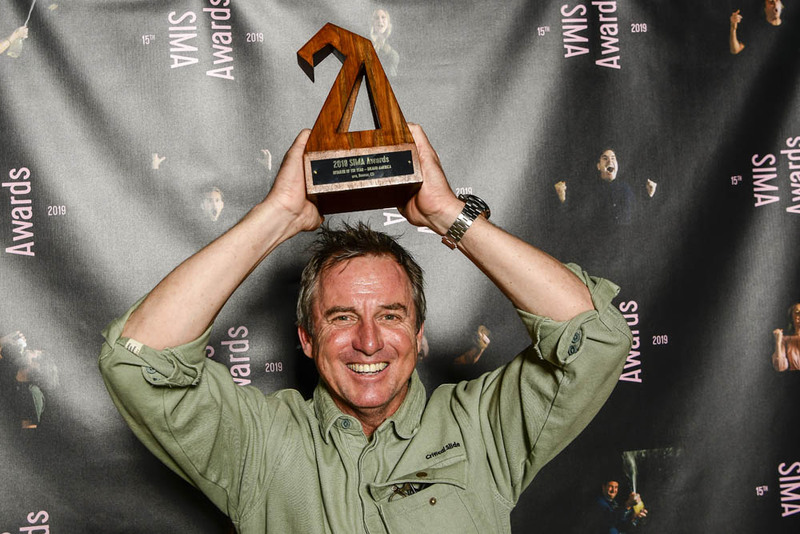 Featured with trophy, host Pat Parnell. 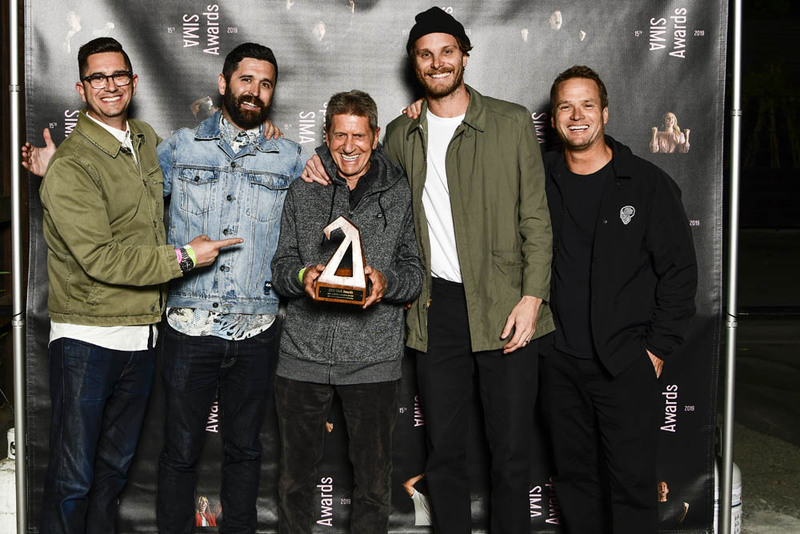 Hi-Tech was unable to attend but accepted via video. 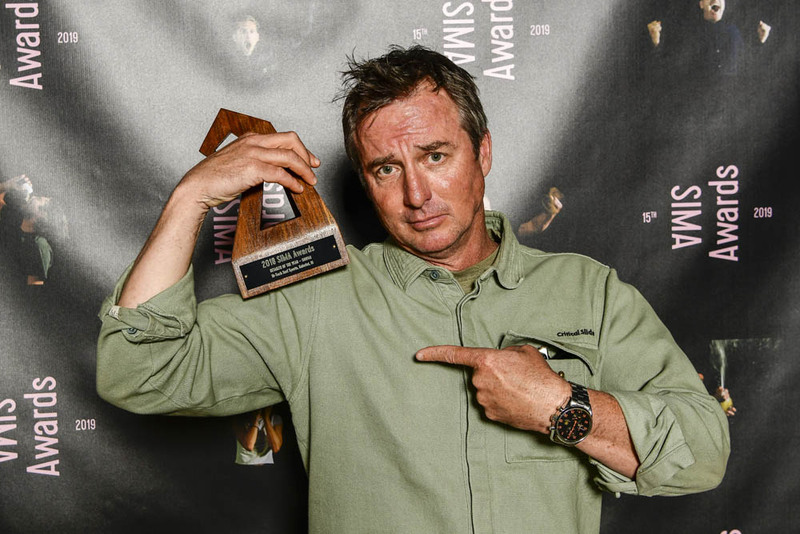 Featured with trophy, host Pat Parnell.